Today, there is hardly any polyurethane-based product idea that cannot be realized by Hennecke. 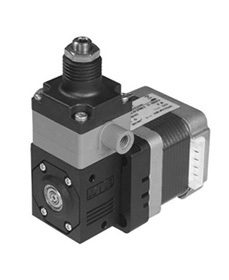 Maag supplies gear pumps of the highest quality used for conveying polymer melts as well as filtration equipment for all areas of plastics manufacturing. WITTE manufactures standard and special pumps for the chemical, pharmaceutical, food and plastics industry, as well as in the areas of offshore and marine engineering. Our innovative, premium quality pumps are known and valued the world over. Premium manufacturer of air-operated double-diaphragm (AODD) pumps. Is manufacturer of components and systems for the metering technology, as well as a reliable water treatment solutions partner. Flowserve is one of the world’s leading providers of pumps, seals, valves and services for the global infrastructure and process industries. Design and production of high pressure plunger pumps, pump units and drive capacities, complex cleaning systems and high pressure periphery products. We are a leading supplier of resin metering systems and specialist for automation and dispensing technology. sera provides efficient and optimal customized solutions for all applications involving the accurately measured and controlled dosing, feeding and compressing of liquids and gases. Plastic welding technology : RITMO S.P.A is a world leader with over 35 years of experience in the manufacturing of plastic welding equipment. All products are designed and built according to International standards and directives (UNI, ISO, CEE). CP’s stainless steel sealless magnetic drive centrifugal pumps are ideal to meet the stringent requirements of chemical processing and a multitude of other industries. We offer plastic valves, pipes, fittings & accessories. Our Praher Plastics-branded valves and our IBG-branded fittings stand out for their remarkable lifetime and excellent and easy servicing. Our range includes various centrifugal pump types in staged sizes and material versions. 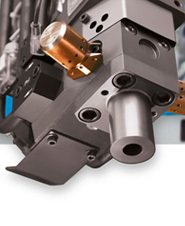 Geppert Rührtechnik has stood for quality and reliability in agitator construction. We develop, manufacture, and distribute innovative agitators for all applications in the materials processing industries, such as the chemical, pharmaceutical, biotechnology, and food industries, in water and wastewater treatment. 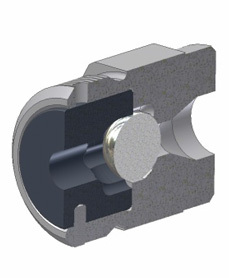 Development and production of sealing systems, mechanical seals, cardrige seals and pressure joints for rotary equipment, such as pumps, compressors and mixers. SIEBTECHNIK GmbH is part of a company group with a clear focus on the processing of bulk mineral materials and solid-liquid separation in the chemical and food industries. We supply high-quality components and subsystems of rubber, plastic and metal. We lead in the specialized area of pump and flowmeter technology with innovative trends and provide full service to customers. Grundfos is a global leader in advanced pump solutions and a trendsetter in water technology. We contribute to global sustainability by pioneering technologies that improve quality of life. we are a specialist for development, construction and manufacturing of PTFE/PFA-lined chemical pumps with magnetic drive.